Manchester United forward Marcus Rashford would be the perfect successor for Luis Suarez at Barcelona, says Patrick Kluivert. 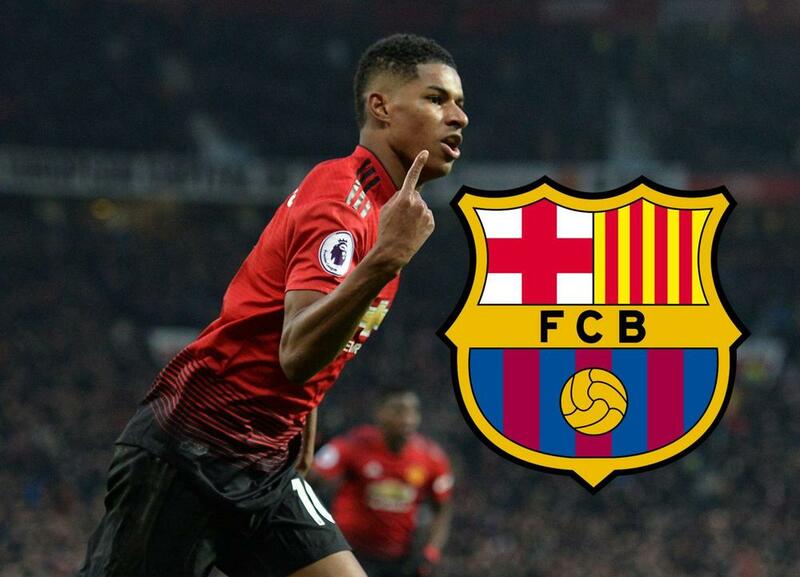 Manchester United forward Marcus Rashford, who is currently starring as a central striker, would be the perfect successor to Luis Suarez at Barcelona, says Patrick Kluivert. Those at Camp Nou have no issues in the attacking department at present. Former Liverpool star Suarez is taking in a fifth campaign in Catalunya, with over 160 goals recorded so far. Those efforts have been delivered alongside the mercurial Lionel Messi, who continues to send records tumbling during the most remarkable of careers. Barca will, however, need a long-term striking solution at some stage, with Suarez and Messi both into their 30s. Ex-Blaugrana frontman Kluivert believes a 21-year-old on the books at Old Trafford would be an ideal solution, although there is little chance of getting him cheap. The Dutchman told Sport360 when asked who would be the dream signing for Barca: “I like Marcus Rashford, a lot. “It will be really difficult to get him over. But he is a good player. Rashford has burst back into life for United over recent weeks. It was while operating down the middle that he first made an impact after being handed his senior bow by Louis van Gaal. Few opportunities in such a role came his way under Jose Mourinho, as he was often forced out onto the flanks or left on the bench. The arrival of Ole Gunnar Solskjaer has seen him deployed in a preferred position, and Rashford has rewarded that show of faith with six goals in 10 appearances. Quizzed on whether the England international has what it takes to potentially shine at Camp Nou, Kluivert added: “I think so. “He has got the skills, the attitude, he’s quick, he’s fast, he can score goals. Rashford has become a regular in the United side of late so any hopes Barca had of prising him away amid a struggle for consistent outings may have been ended by the presence of Solskjaer at Old Trafford.